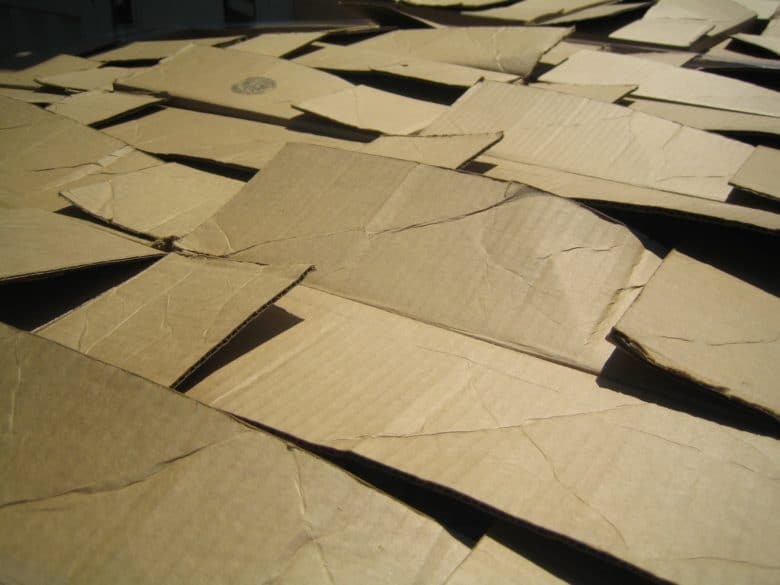 With a decent tracking app, all you have to worry about is recycling the old boxes. It’s gift-giving season, that time of year where you buy people yet more junk that they neither want nor need, all out of a guilt forced on your by tradition and the fear of looking cheap. It’s going to stress you out. But we can at least make the process of buying unwanted dross a little smoother, by making an app do all the package deliveries tracking for you. Apple’s Mail app has a kind of parcel tracking built-in, but even if it worked consistently, you’d have to come back and find the same shipping-confirmation email every time you wanted to check on a parcel’s progress. Mail uses Apple’s data-detector tech to recognize (some) shipping numbers in incoming emails, and turns them into links. To use Mail’s built-in tracking, just click or tap on the number, and you will possibly be offered the option to track the package. On the Mac, click the little arrow that appears beside the tracking number. If you’re lucky, a mini Safari window will open (Mac), or a more regular Safari view (iOS) showing you the tracking page on the shipping company’s own site. It’s functional, but only barely. If you get a lot of parcels, Deliveries is essential. Manually tracking parcels is a real pain, even with help from the Mail app (as we shall see in a moment). You have to keep track of all the order numbers, and you have to remember to remove the delivered parcels from your list so you don’t keep checking them. It’s a much better idea to use a dedicated tracking app. Not only will it keep everything in one place, it also checks the progress of your parcels, and fires off a notification when there’s an update. The best parcel-tracking app is Deliveries, from Junecloud, and it’s available for Mac, iPhone, and iPad. I have used it for years. Back when I was the reviews editor here on Cult of Mac, Deliveries was essential to keep track of all the review units that were winging their ways to and from CoM’s various test labs. You can add a package to Deliveries in many ways — by typing in the number manually, by pasting the number from the clipboard (the app automatically detects any tracking numbers you have copied), or even by scanning the barcode on the label of an actual parcel (good for tracking stuff you send). But you’ll probably find yourself using the share extension most often. 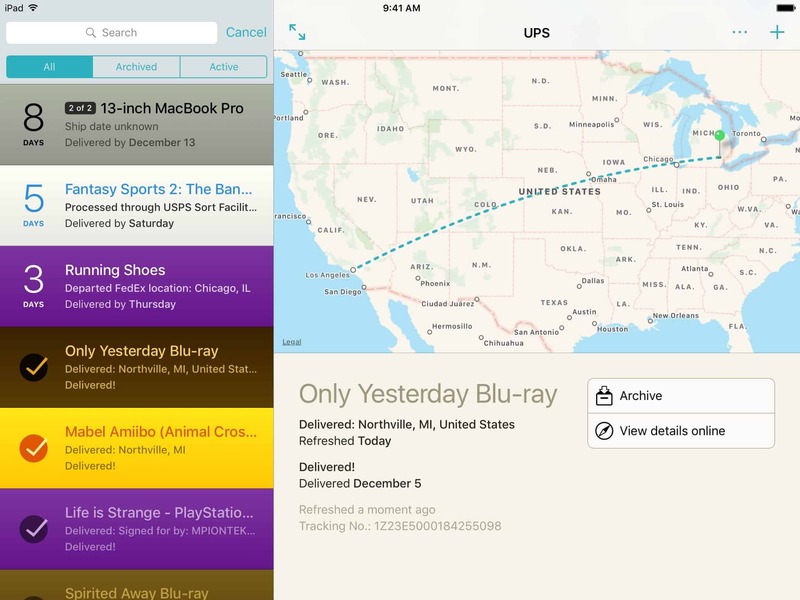 To do so, long-press on a tracking link, or select a tracking number, and tap Share in the resulting popover. Then pick Deliveries from the list. The app will open, with the number already pasted into the correct spot. All you have to do is confirm that Deliveries guessed the correct carrier (it’s almost always right), and give the package a name. Then just save the new tracker, and wait. Notifications mean you never have to manually check ever again. Deliveries uses Apple’s notification system to allow it to periodically check for updates, whereupon it will send a notification. Deliveries are synced between apps (using either iCloud, or Junecloud’s own sync), so alerts will show up on any device with Deliveries installed. Thus, you can add a delivery on your Mac, but receive alerts on your iPhone when you’re out and about. It even works with your Apple Watch. 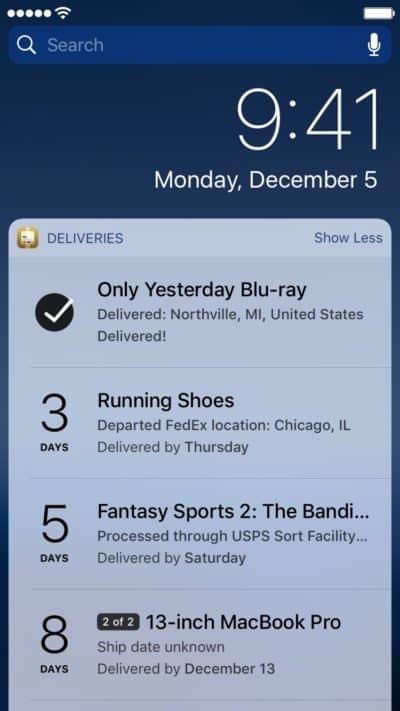 Notifications are rich, so you can — for instance — archive a delivery right from the iPhone lock screen once it has been successfully delivered. In the app, each delivery gets a neat map view with lines showing your parcel’s progress through the physical world, along with the most status recent update, and the estimated delivery date. Amazon’s app can also send alerts. Unless you actually spent the time to research what your gift might want, and ended up ordering from a specialist retailer, most of your shopping will probably be done at Amazon. If you use the Amazon app on your iPad or iPhone, you can set it to send your notifications. Even if you use Deliveries, you may still want to use this option, because Deliveries doesn’t play well with tracking deliveries made by Amazon itself. Amazon requires a manual sign-in every time in order to track deliveries, and tracking apps cannot do that automatically. If Amazon uses a regular carrier to ship, like USPS, or DHL, etc, then you can track that just fine. 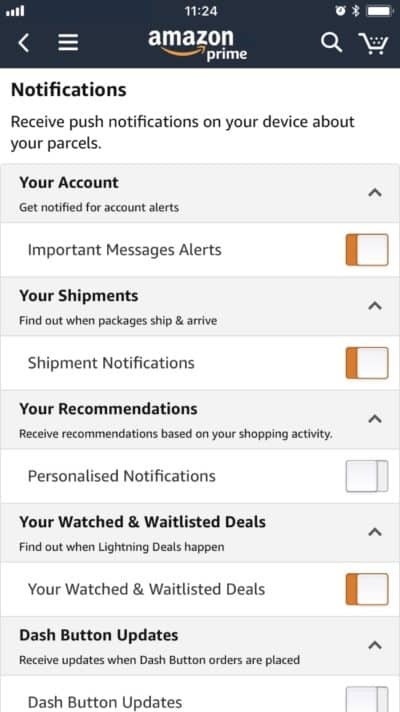 But if it insists on using its own Amazon carrier, then you should just open up the Amazon app, and ion the main menu pick Settings>Notifications, and toggle the switch next to Shipment Notifications. Hopefully you can now do all your Christmas shopping online, then sit back and forget about it until you wake up Christmas morning and watch your friends and family try to hide their disappointment in yet another round of unwanted objects. Happy holidays!